Framed verses frameless is the age-old question when redesigning a kitchen. 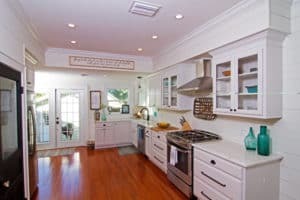 The kitchen cabinets are one of the most important aspects that makes a kitchen the center of one’s home where memories are made for many years to come. But, most importantly, the cabinets offer the storage needed for pots, pans and food. There are so many decisions that must be made when redesigning a kitchen, such as the type of cabinetry. Often, the first question your kitchen designer will ask you is, “Do you want framed or frameless cabinets?”. 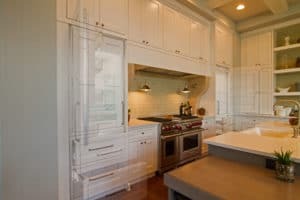 Most homeowners are unaware of the real differences between these two common types of cabinetry. 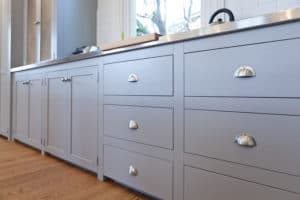 Framed cabinetry has been a staple in American kitchens for decades due to the sturdy construction of a frame that will eventually prevent the cabinets from sagging over time. The frame around the cabinet offers extra strength needed to ensure great quality and not to mention style. 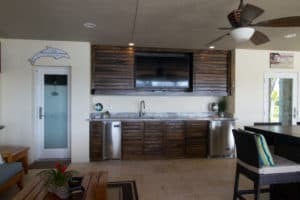 With framed cabinets, customization is a major plus, a popular style are inset doors, which will blend the door with the frame making the frame not as noticeable. Another popular style is full overlay, where the door is placed over the frame making the frame not even visible. It is a style that has remained very popular over the years and will continue to be. Frameless cabinetry is also known as European style, originated in guess where, Europe! This style of cabinetry has quickly been adopted by American homeowners. 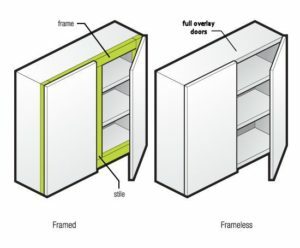 Frameless doors are simply explained, they are cabinetry without the frame making it easier to access items in your cabinets and provides more space to store household items. This style is also referred to as full-access cabinetry. Frameless cabinets allow for a more sleek and classy look to a kitchen. If this modern loom is what you are after than frameless is the way to go! De-Mystifying the Triangle: What is the “work triangle”? If you’ve remodeled your kitchen before or know someone who has, you’ve probably heard of the “work triangle”. Unless you’re in the industry of kitchen design you probably scratched your head and thought, “huh?”. That’s okay, that’s why designers spend years in design school to do the thinking for you when it comes to this mighty important triangle and many other aspects of design and flow to a room. So, what is the work triangle? Well, it is simply a work efficiency concept to determine how well a kitchen is laid out, or should be laid out. The most used spaces in a kitchen are the sink, cooking range, and refrigerator. 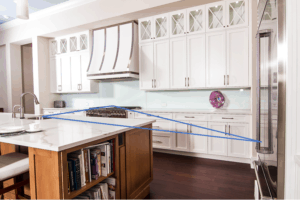 These are the areas that work best when configured in an imaginary triangle like shape for the most efficient kitchen. And this ladies and gentlemen is what the National Kitchen and Bath Association has deemed the “work triangle”. But it too has flaws, the concept assumes there are only three major work spaces and one cook in the kitchen. The kitchen design industry is no longer as simple as three work areas, some kitchen designs are so elaborate with multiple work stations and sinks. More state of the art kitchens will include larger ranges, wall ovens, full-size refrigerators and freezers, and so much more that it would be almost impossible to achieve the perfect work triangle. Remember that the ideal work flow to your kitchen is your lifestyle and what you need out of your kitchen. How Much Is Enough for Your Remodeling Budget? So you’re thinking about remodeling your kitchen or bathroom. Have you thought about a budget? Setting a budget is often the first step of the remodeling process and one of the most stressful. You find out the cabinets you fell in love with on Pinterest are slightly out of the realm of possibility, what do you do now? This task in and of itself can be difficult if this is your first remodel, but it doesn’t have to be. First look at your personal finances and see how much you can spend. The next question is, is this (your current home) your forever home? Or are you planning on selling in the next 5 years? If so, think about all your remodels as improvement to a real estate investment. If you’re in your lifetime long home, the average percentage to spend on a kitchen remodel is anywhere between 8% to 16% of your home’s value. What are you wanting the most out of your new space? Is it new appliances, new cabinets, or a gorgeous farm sink you saw on Pinterest? No matter what it is, if it’s important to have in your kitchen, budget for it and save money in other places.